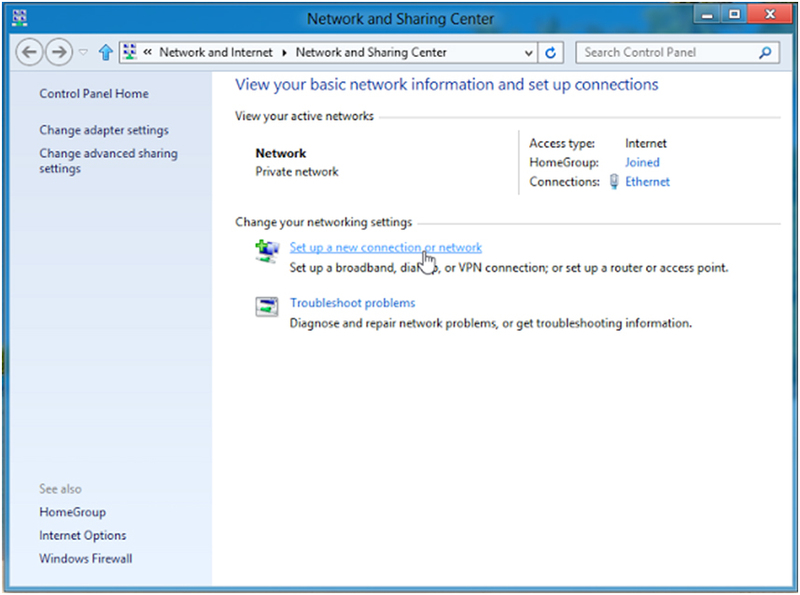 Step:1 Right click on Network Access icon and click Open Network and Sharing Center. 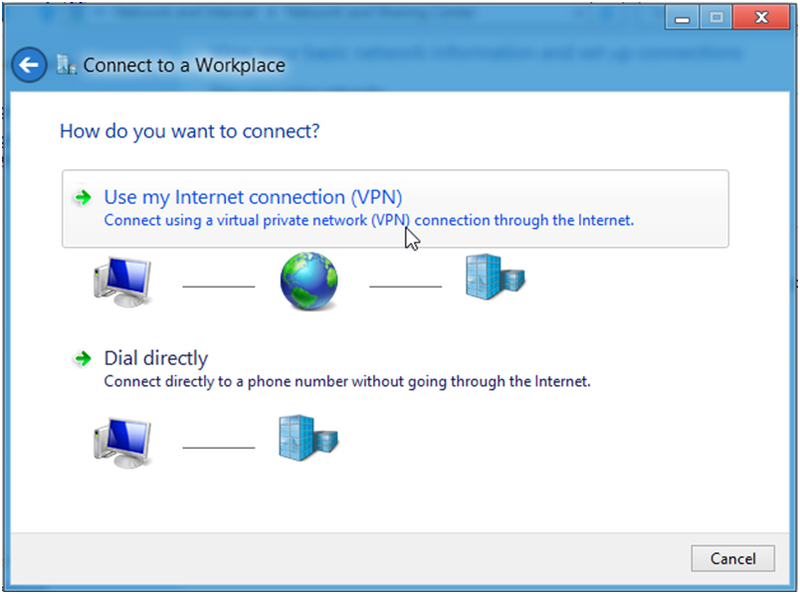 Step:2 Click Set up a new connection or network. 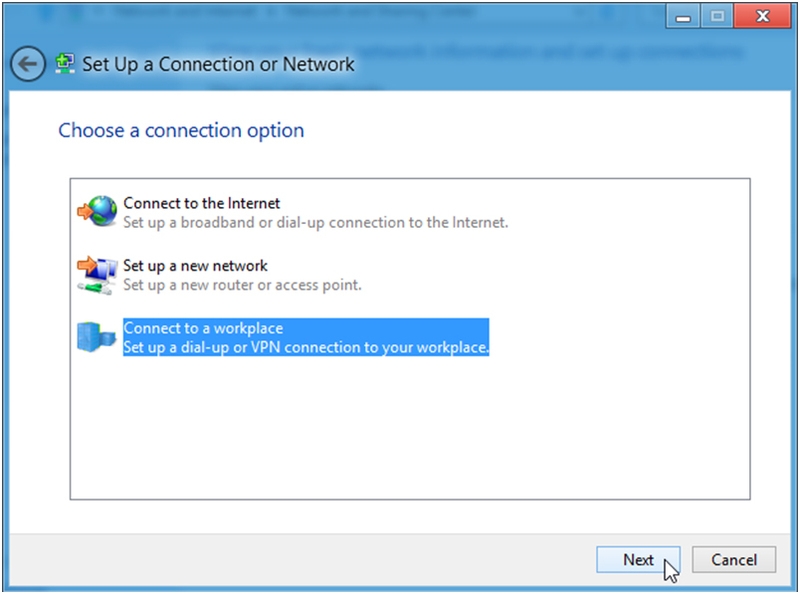 Step:3 Select Connect to a workplace and click Next. Step:4 Click Use my Internet connection (VPN). 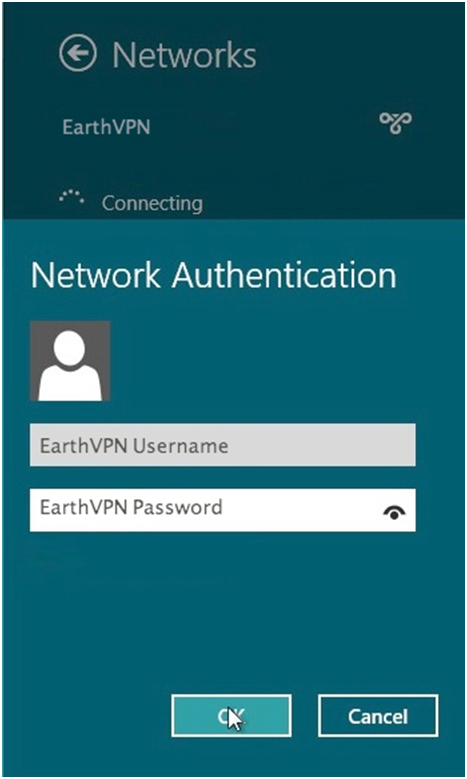 Step:5 Enter EarthVPN server address in the Internet address field and a VPN description on Destination name and click Create. Step:6 Click on the network icon on the bottom right-hand corner. 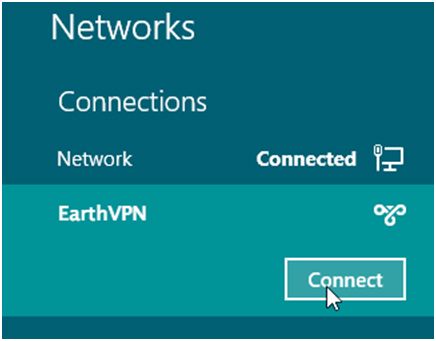 Step:7 Right–click on the EarthVPN connection, and choose Properties (View connection properties) from the menu. 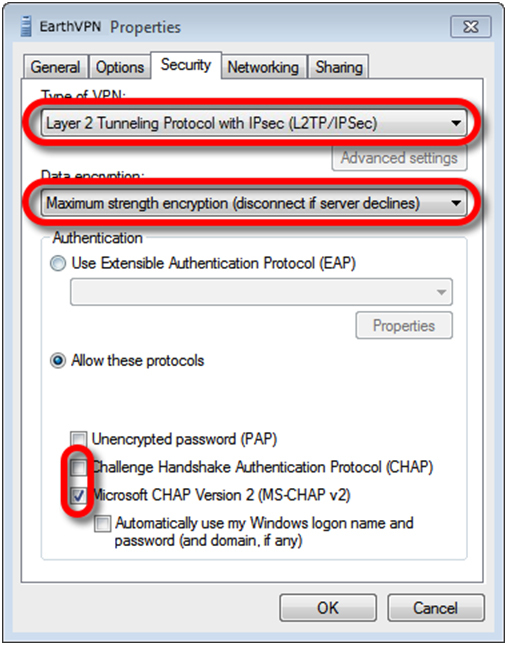 Step:8 Change the Type of VPN to be Layer 2 Tunneling Protocol with Ipsec (L2TP/IPSEC) so the client does not probe for different kinds of VPN. Set the Data encryption to Maximum strength encryption (disconnect if server declines). Down below in the Authentication context, make sure to have onlyMicrosoft CHAP Version 2 (MS-CHAP v2) selected. Switch to theNetworking tab. Step:9 Click Advanced Settings. 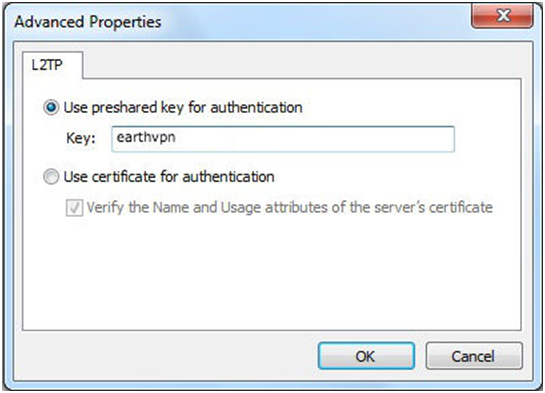 Be sure to use lowercase letters and type earthvpn into the use preshared key for authentication textbox . Then click the OK button. 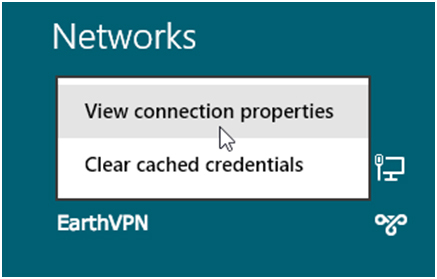 Step:10 Switch to theNetworking tab. 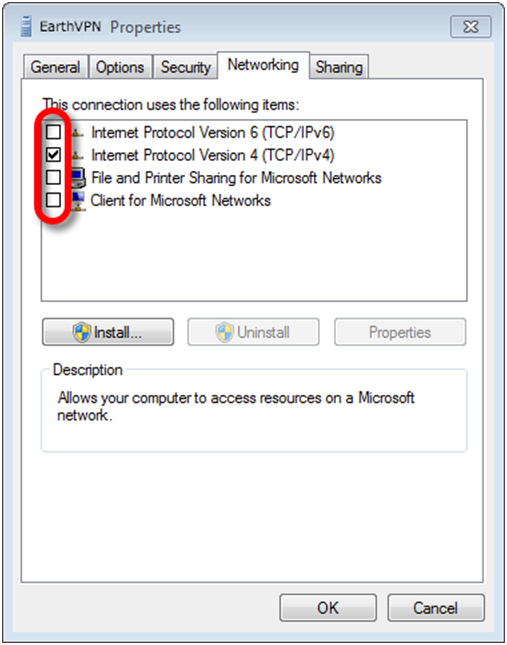 On the Networking tab, uncheck Internet Protocol Version 6 and File and Printer Sharing for Microsoft Networks and click OK. 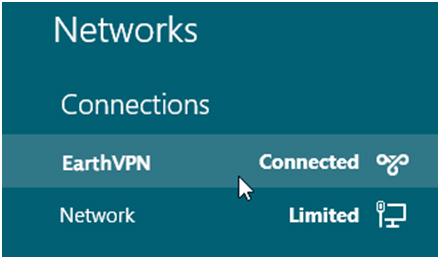 Step:11 Click Connect on VPN Connection name. 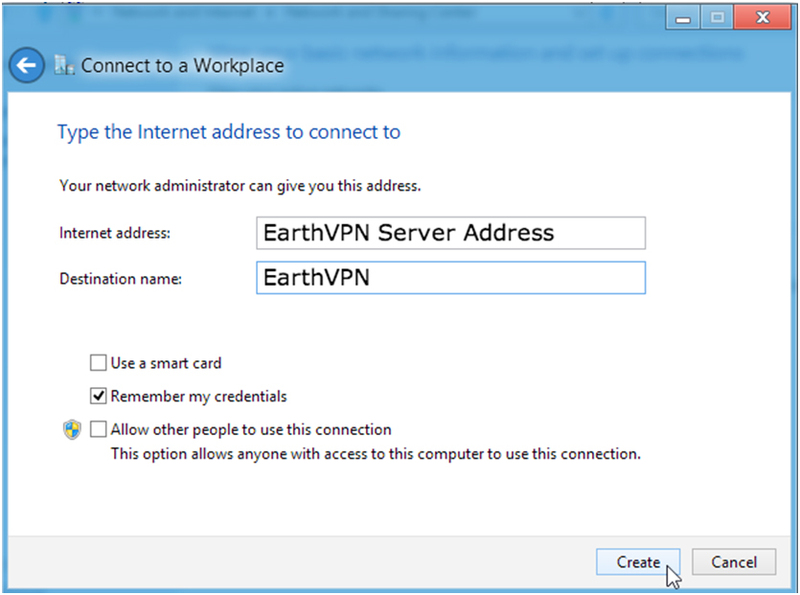 Step:12 Enter your EarthVPN server username & password and hit OK. Step:13 Wait for the Connected sign to appear.